Amphipolis, ca. 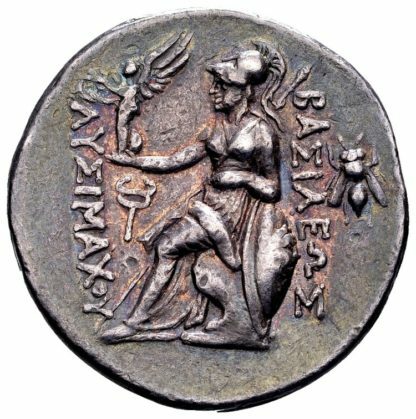 288-282 BC. 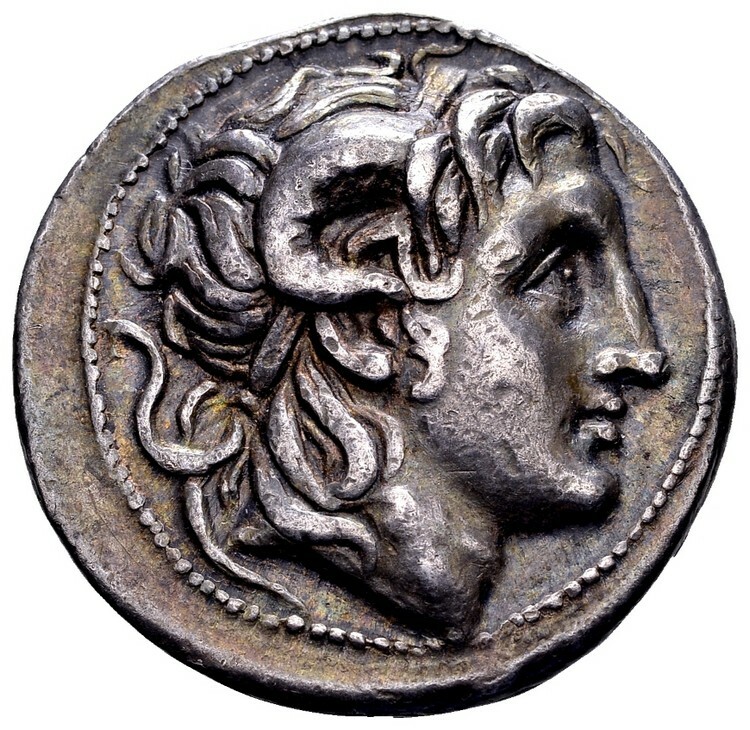 AR tetradrachm, 17.2 gr. 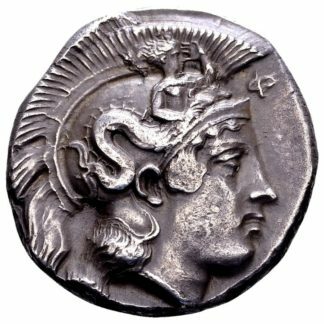 Obv: diademed head of deified Alexander the Great to the right, with horns of Ammon. 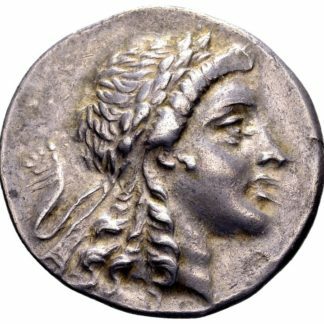 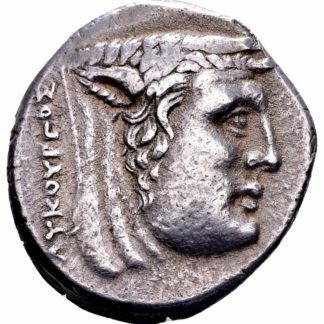 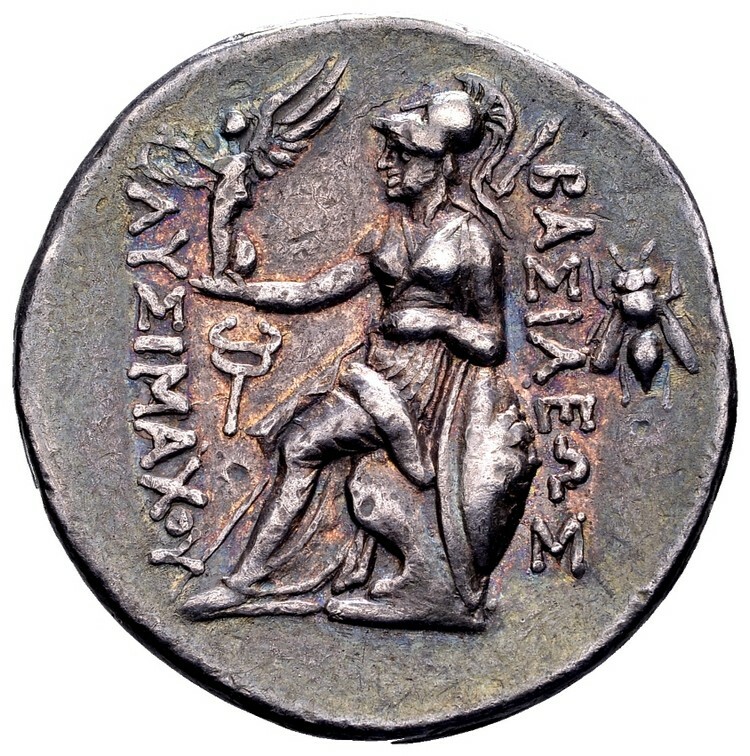 Rev: ΒΑΣΙΛΕΩΣ ΛΥΣΙΜΑΧΟΥ; Athena on throne to the left, holding Nike on extended right hand, left arm resting on shield, spear leaning against right shoulder; behind: bee.